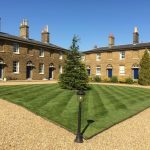 Our team based in working can offer you a gardening service at any time of the year , we include lawn mowing, hedge cutting , leaf blowing and collection, pressure cleaning, before party gardening clean ups and same day hedge cutting. Our Woking gardeners are fully insured and full uniformed to make sure you have a professional service every time. Our service can be a regular as monthly, weekly or fortnightly gardening services. We have a 2, 4, and 8 hour slot either with one or 2 gardeners depending on the season.